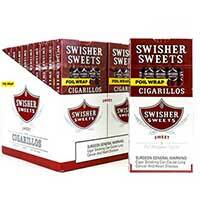 Known for their modest prices and sweet tobacco offerings, Swisher Sweets is a heavy-hitter in the tobacco industry. 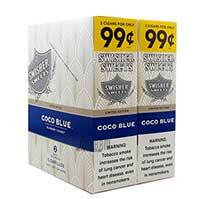 Many of their products are great for daily smokes given their affordable prices. 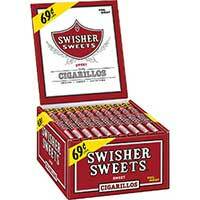 But just because they’re cheap doesn’t make the tobacco product sub par. 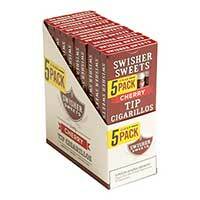 Instead, Swisher Sweets takes pride in their tobacco blends. All of their products are made using top-quality tobaccos that sport delicious and satisfying sweet flavors that make your mouth water just thinking of them! 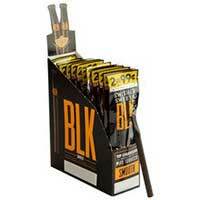 Their products are available in a variety of offerings, including tipped, flavored, cigarillos, and so much more. As one of the best selling machine-made brands, smokers love all of their products. Their quality tobaccos, unique flavorings and cheap prices are what make them the best in the industry. 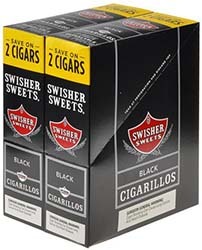 Even though they offer a variety of products, it’s their cigarillos that many adore. 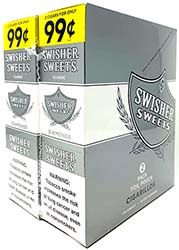 But you can also choose from corona, blunt, and Lonsdale for smokers who like a larger ring gauge. 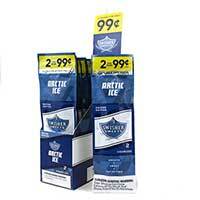 There’s also an extensive choice of wrapper blends and shades, ranging from fruity and exotic to pure tobacco. 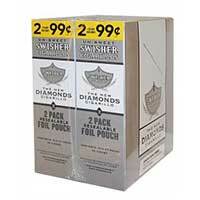 And even if you don’t like sweet tobacco products, Swisher Sweets offers their Diamond cigars that are free of sweetness. 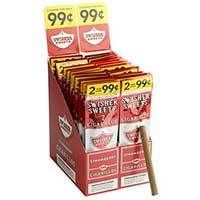 Swisher Sweets literally has something for every taste and budget! 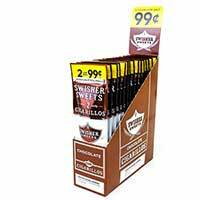 Swisher Sweets is a dominant figure in the machine-made cigar market and is thriving thank to all their flavors and offerings. What also makes them a favorite among smokers is the fact that they use the finest natural tobacco blends that are smooth and mellow. 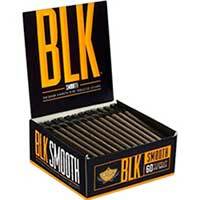 All of their products are an easy smoke, making them ideal as everyday cigars. 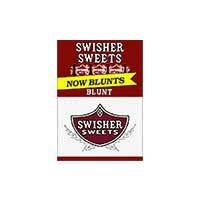 The original Swisher Sweet has been a favorite for many smokers since 1958 and continues to thrive thanks to its classic flavors. Their Mini Cigarillo and Coronellas are thin machine-made cigars that feature their signature natural and sweet taste. If you prefer a more conventional size, their Giants and King offerings are perfect! Then there’s the Corona and Lonsdale cigars that pack in the same enticing flavor is a much bigger package over their smaller cigarillos. But if you love classic Cuban shapes, their Perfectos and Blunt offerings are classics since they feature larger rings. If you want a clean and pure tobacco taste, then their Wood Tips provide that refreshing smoke that’ll have your taste buds craving more. But it’s their sweet offerings where Swisher Sweets really thrive. They have a number of sweet flavored cigar options. Every fruit flavor you love, they have! From strawberry to blueberry, grape and peach, their sweet profiles are delicious to taste and smell. 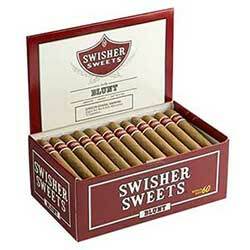 You’ll literally crave their sweet cigars and cigarillos that will tantalize your senses. 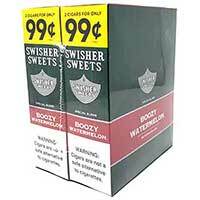 They also have their Swisher Outlaws lineup that is a rugged all-tobacco Honduran infused with sweet and alluring flavors that will delight your taste buds. 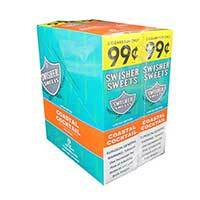 If you haven’t tried Swisher Sweets’ offerings, you’ll definitely missing out on delicious and enjoyable smokes!